The Thursday update to the May 16 epidemiologic report puts the total number of hemorrhagic fever cases at 45, of which 10 are suspected, 21 are probable and 14 are confirmed. The new death was reported in the town of Bikoro, the place of the first death, and has epidemiologic ties to another case. Another lethal case in Wangata on Thursday was a suspected one. The new deaths bumped up to 25 the total number of lethal cases with hemorrhagic fever symptoms. The Congolese health authority said only one fatal case has been confirmed as Ebola since the pandemic began. 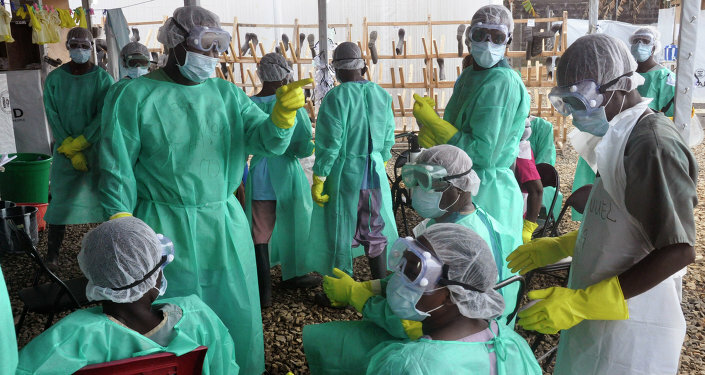 The Ebola virus disease is transmitted to humans from animals and is estimated by the World Health Organization to have a 50-percent fatality rate. The disease killed over 11,000 people in West Africa between 2014 and 2015.